The internationally successful fashion company Marc Cain was founded in 1973 by Helmut Schlotterer, the Chairman of the Board. Marc Cain manages its global business from the head office in Bodelshausen near Stuttgart. The company meanwhile employs over 1033 members of staff in Germany alone. It offers the highest standards within the design and quality of materials, for which consistently receives prestigious awards. Marc Cain is the first class ladies fashion suitable for everyday working life or for elegant evening wear and special occasions. The credo of the brand is to combine a sense of aesthetics and art with a laid-back attitude, a natural look, innovative thinking and exclusivity. The pieces highlight the women’s appearance and uniqueness in every direction. Marc Cain provides clothes for the women fond of clean lines, attractive design, quality and superior fit. What kind of woman is she? She lives in the moment, is self confident, open-minded and curious. Marc Cain stands for innovative thinking, high expectations on design, quality and material as well as the latest processing technologies and the perfect fit. 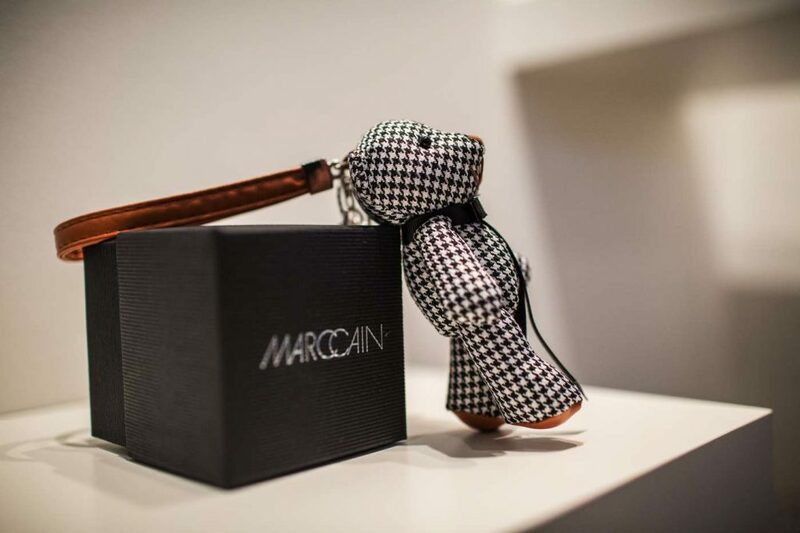 All product lines of the labels Marc Cain Collections, Marc Cain Sports, Marc Cain Essentials, Marc Cain Additions and Marc Cain Bags & Shoes reflect the spirit of the time in their very own way and classiness. The exclusivity of collections comes from selection of colors and materials. Knitting yarn comes from Italy and is processed on the most modern machinery in Germany and the EU. Marc Cain is also dedicated to research in order to offer the most advanced materials, ensuring high product quality standards. Marc Cain product lines always reflect the latest fashion trends. 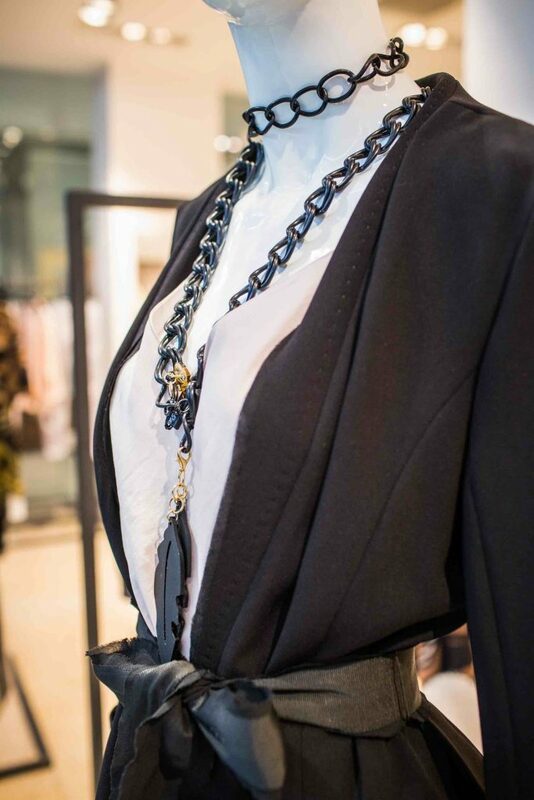 As an example the offer for this season covers sculpted silhouettes, delicate fabrics and gorgeous colors. Among those pieces you can find dark seamen and military style coats, wool coats and knitted dresses in darker shades of red, and soft gray-green and silver gray silk blouses and shirts. The selection further promotes jackets with shiny surface, lined with wool tweed jackets and coats.